Take control of your credit destiny by understanding everything about credit scores. Achieving and maintaining a good credit score is crucial to qualify for the lowest rates and terms on loans and credit cards. 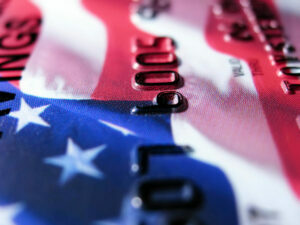 But there are a lot of misconceptions about credit scores and how they are calculated. This results in mistakes that cost people money and keep them in debt longer. In order to be successful, you need to understand how credit works so you can make the right choices moving forward. These resources will teach you everything you need to know about credit scores. You’ll learn what makes up your credit score and what actions you can take to improve your score. We’ll also explain how to avoid certain actions that can damage your score, so you won’t face any surprises the next time you apply for new credit. If you have questions, just click the Ask a Question button at the bottom of our page to connect with our certified financial coaches. Come on down! You’re the next contestant on the Game of Good Credit! Achieving good credit is a game of strategy. You have to play tactically if you want to win. Let’s begin with the basic gameplay of how to go from the starting point to winning the game of good credit so you can maximize your credit score. The overall goal in the game is to move forward from the starting point, taking the right steps to reach your credit goal. Each step you take can have a positive, negative or neutral effect. You want to make smart moves that boost your score, while avoiding traps that set you back. Positive actions like making payments on time and keeping your credit utilization low help move you forward. And doing things like paying off a credit card in full can give you a big jump up the board. But actions like paying late or allowing an account to go into collections can set you back and put you farther away from your credit score goal. As you play the Game of Good Credit, keep in mind that even if you have to make a really bad move it doesn’t mean you’ll have bad credit forever. You may just have to start again to begin moving forward toward the score you want. Most negative actions set you back for 7 years. Although some things like Chapter 7 bankruptcy can set you back longer. But if you have a setback, you can start to move forward immediately! The BEST move you can make is to pay your bills on time – this is the biggest factor in calculating your score. Each time you pay a credit card or loan on time it’s a positive action that lets you move forward. If you’ve had setbacks, start making payments on time to move forward again. But keep in mind that the amount of credit you use affects how quickly you can move up the board. Credit utilization is the second biggest factor in calculating credit scores – that’s the amount of debt you have relative to your total available credit. The less debt you have, the faster you can advance towards better credit. So by keeping your debt low and making payments on time you can forward to get closer to your credit goal. Length of credit history is the third biggest factor in your score – creditors believe people who have been playing the game longer are better at it. So don’t close your oldest accounts or let creditors close them due to inactivity, because this can actually set you back. Keep accounts in good standing and you’ll get an extra boost on your way to a winning credit score. The number of times you apply for new credit within a six month period is a factor in your credit score. If you try to take too many new credit moves at once, you can actually get set back. Only draw a new loan or credit card when you really need it, and don’t apply for credit cards in quick succession. That way getting new credit will be a neutral action that doesn’t set you back. The type of credit and number of accounts you have also has an impact on your ability to win the game. If you pick up a diverse variety of debts along the way like a mortgage and other loans along with a credit card or two, you’ll have an easier time reaching your goal. We have a few tips that can help put the big win within reach. Be aware that you can be penalized paying late as well as for moves that you didn’t actually take. This happens when negative items appear in your credit report by mistake – the credit bureaus think you made a bad move when you really didn’t. If this occurs, you have the right to dispute the item to have it removed. If you’re successful with a dispute, you’ll move up the board. Additionally, players often think asking for help will set them back from reaching a winning credit score. But using services like credit counseling if you’re having trouble can actually help you move forward faster instead of setting you back. Completing a debt management program helps you eliminate credit card debt and may aid in helping you build a positive payment history. 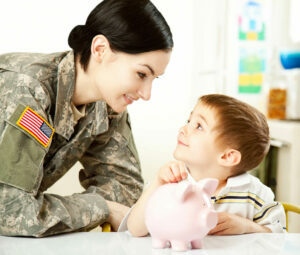 It can also help you avoid major setbacks on the board like debt settlement and bankruptcy. So you can get the help you need and still reach your ultimate credit goal, allowing you to win at the game of good credit to improve your financial standing overall. Make the move to Consolidated Credit and let us help you develop a winning strategy to help you eliminate debt so you can achieve your credit goals. 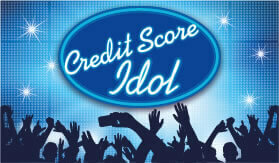 Infographic: Are you ready to be the next Credit Score Idol? There are five factors used to judge your credit score and they determine your fate when it comes to credit. This infographic makes it easy to understand these five scoring factors, so you can make the right moves as you work to achieve the best credit score possible. Good credit means lower rates and lower monthly payments on loans. A bad score means you pay more for the same loan. To show you how much a bad credit score can cost you (and how much you save with a good score), Consolidated Credit has designed this free calculator that estimates the cost of loans for various credit scores. How much is your credit score costing you? Self-Help Guide: Are you making the most of your credit score? Our free credit score eBook takes everything you’ve learned and gives you a handy reference guide that you can print out or download to your favorite mobile device. 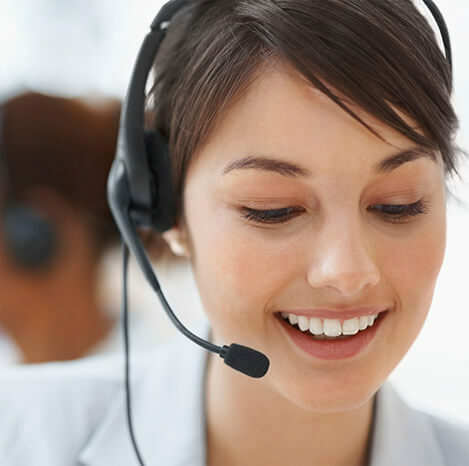 Find tips on how to improve your score, as well as helpful contact information for the credit bureaus. This publication is designed to demystify the credit scoring process. Credit scores can change frequently as information is updated in credit reports. 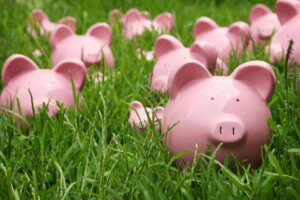 Lenders may use different credit scoring formulas that are customized for their loan products. Additionally, this booklet has been formatted as an animated on-line interactive module that includes participant testing. Still have questions about credit scores? 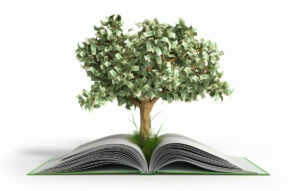 Ask our certified financial coaches so you can understand how to achieve the good score you need.